Indulge in ten distinct dining concepts at Hyatt Regency Maui Resort and Spa, including a traditional Hawaiian lu‘au experience, voted Best Maui Lu‘au. Enjoy Asian flavors with island flair at the award-winning Japengo restaurant. Savor mouthwatering steaks paired with an extensive wine list at Son’z Steakhouse. 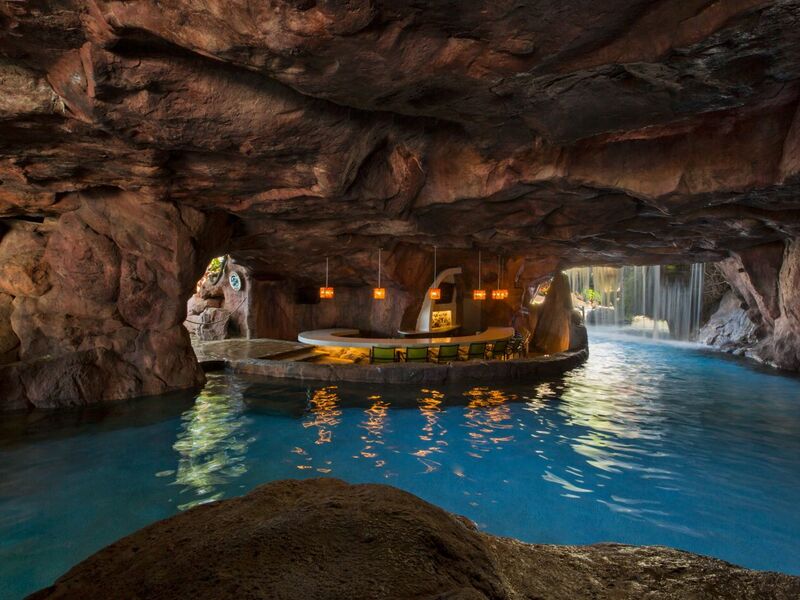 Swim up to Grotto Bar and enjoy specialty cocktails between waterfalls, enjoy panoramic ocean views from your private lanai with the convenience of our in-room dining menu. Enjoy Asian cuisine infused with island flavors. 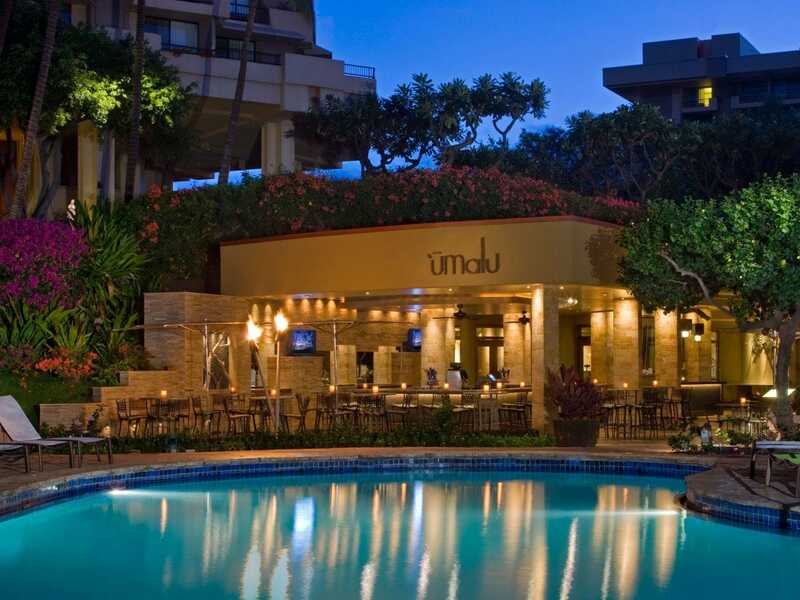 Located along the Ka‘anapali beachfront with views of the Pacific and the resort’s waterfalls, the restaurant offers an outdoor patio and menu of steaks and seafood sourced locally. Order hand-rolled selections from the Sushi Lounge and enjoy a variety of hot entrees. Half-sized portions are available to encourage diners to enjoy a variety of the delicious dishes from the extensive menu. 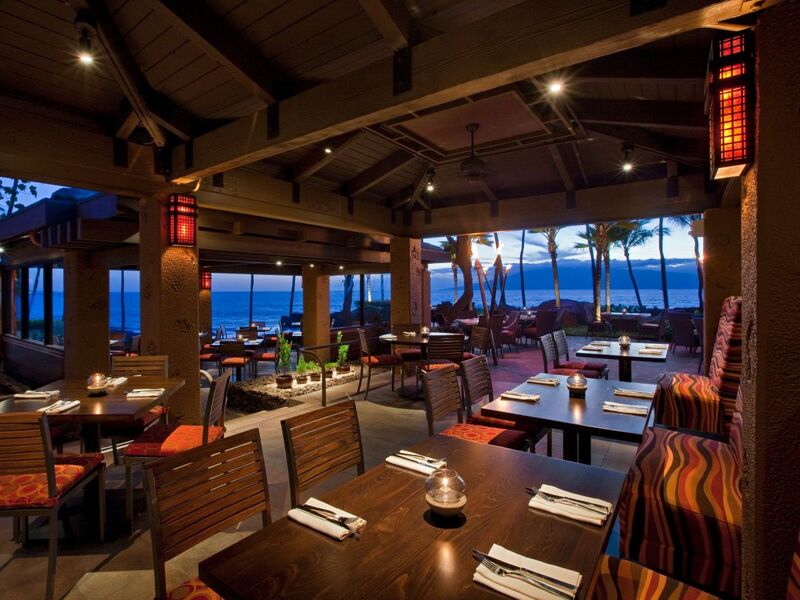 Experience an authentic lu‘au and dinner on Ka‘anapali Beach. Be greeted with lei and a cocktail while settling in to sounds of the conch, beating drums, and Hawaiian chants. Go on a journey through the Polynesian islands, with a traditional imu ceremony and exotic flavors of Hawaii in an all-you-can-eat buffet, open bar, and lavish dessert reception. Retreat to this poolside eatery, bar, and lounge for an authentic taste of Hawai‘i, enhanced by views of the ocean. 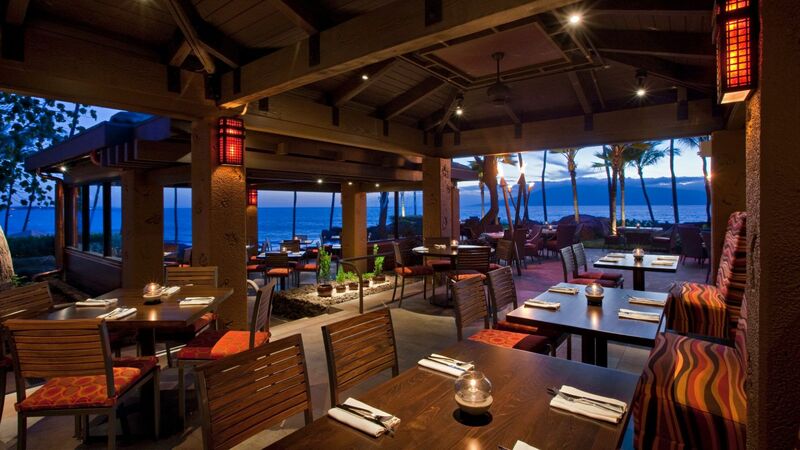 Choose from creative salads, sandwiches, entrees, and appetizers, all crafted with flavors of the Hawaiian Islands. 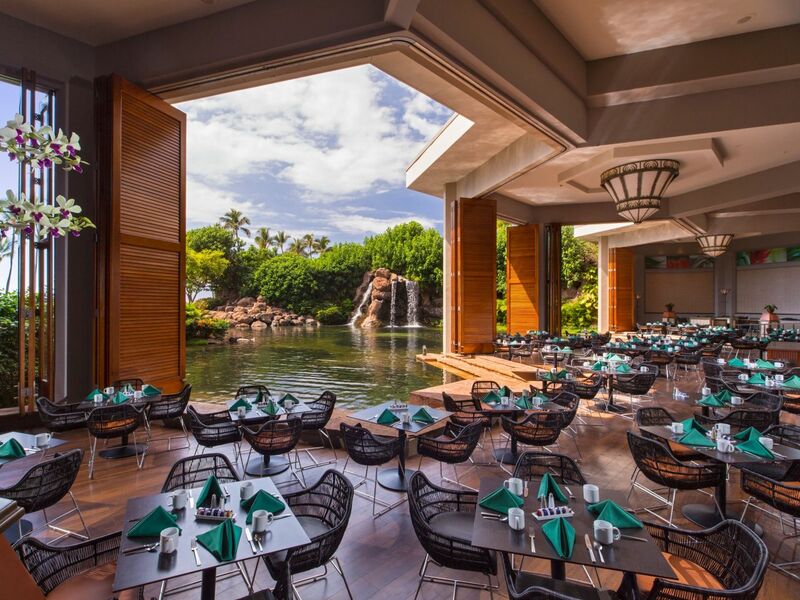 Pair lunch and dinner menus with traditional tropical or frozen drinks, or sip on signature smoothies by the pool. Lunch and Dinner: 11:00 a.m.– 10:00 p.m.
Bar and Lounge Happy Hour: 5:00–6:00 p.m.
Voted “Best Steak” at the Maui ‘Aipono Awards, Son’z Steakhouse features USDA prime cuts, including Tomahawk and Porterhouse, and fresh seafood paired with an extensive wine list that has earned an ‘Award of Excellence’ from Wine Spectator year after year. Located between waterfalls in a rustic cave setting, Grotto Bar offers a unique place to grab a drink and light pub fare. Swim up to the bar for an exclusive menu of frozen and traditional cocktails, available only at Grotto, as well as TVs that stream the day’s gaming action. Happy Hour: 11:00 a.m.–noon and 4:00pm – 5:00 p.m.
Start your day with a delicious buffet at our breakfast restaurant located in Swan Court where resident swans float by as you enjoy a la carte and buffet selections. Linger over a cup of coffee in the open-air restaurant with views of waterfalls cascading over lava rocks. Choose from a selection of traditional breakfast dishes, local fruits, and baked goods. Breakfast buffet is $32 for adults and $5-$12 for children (pay by age), plus tax and gratuity. 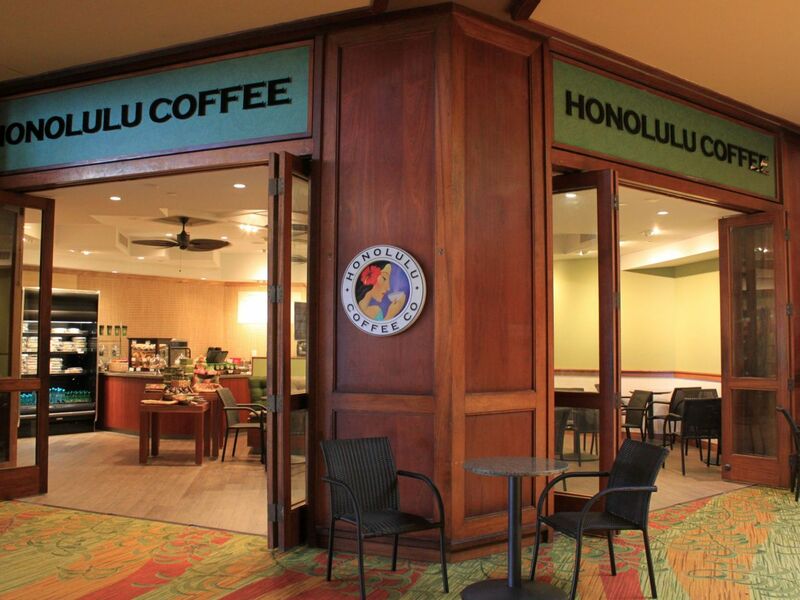 Enjoy fresh brews of award-winning coffee to complement pastries at our lobby-level coffee shop. Savor tropical fruit smoothies, acai bowls and flavorful snacks all day. 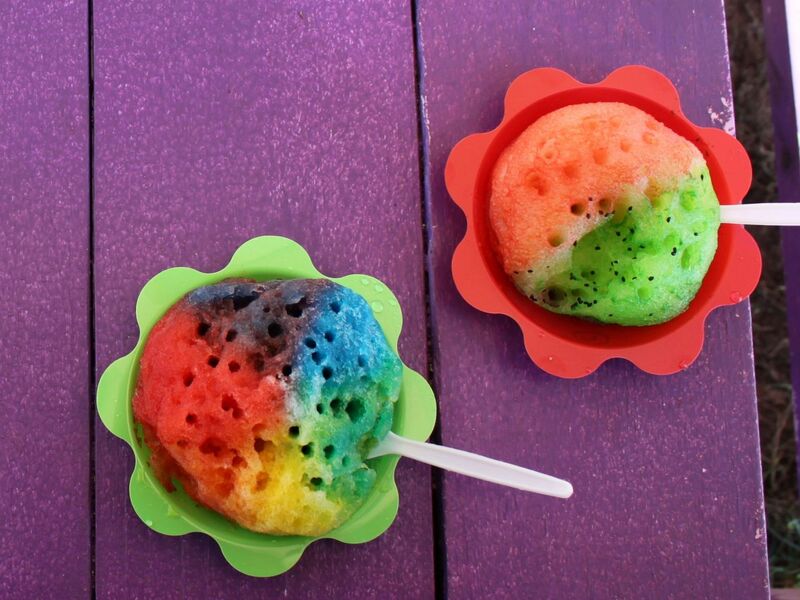 VOTED #1 SHAVE ICE ON MAUI 2017 & 2018. Treat yourself to a refreshing shaved ice concoction featuring house made syrups derived from 100% pure cane sugar, fruit purees, and concentrates. 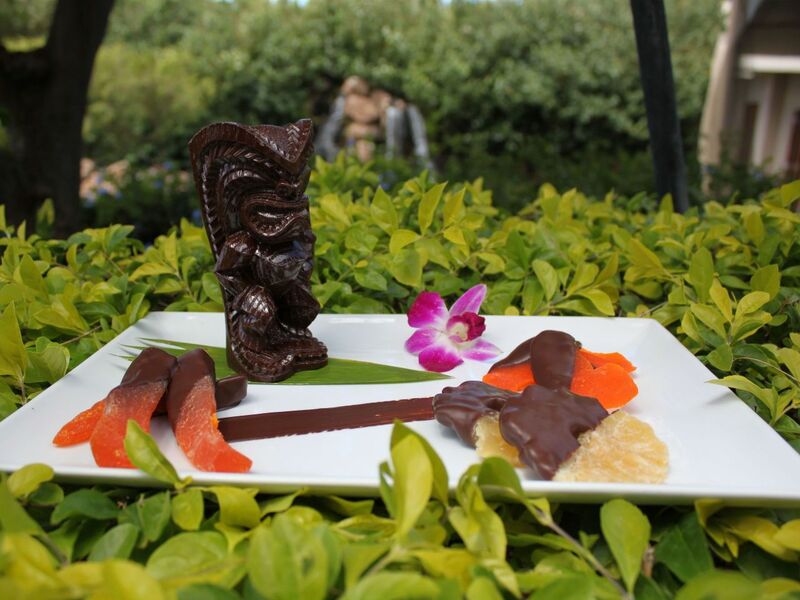 Experience the flavors of Maui one spoonful at a time, perfect as a dessert or standalone frozen treat. Stay in for breakfast in bed or have an intimate dinner in the privacy of your room with our in-room dining service. Choose from two tantalizing menus and an array of extras like champagne and strawberries, available to be setup in-room with 24 hours’ notice. Upgrade to receive exclusive lounge access and enjoy specialty services like daily continental breakfast, refreshments and snacks throughout the day, and an evening reception with hors d’oeuvres and dessert. 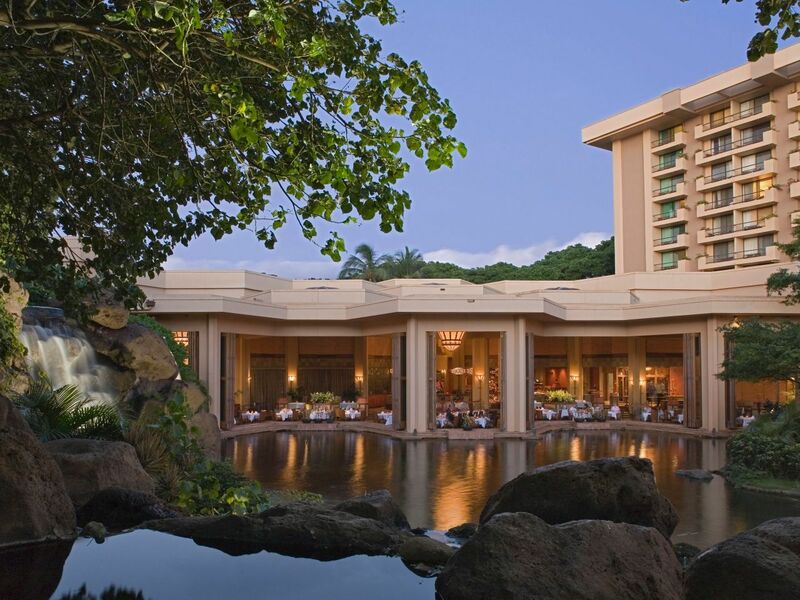 Located on the lobby level with outdoor seating, guests enjoy views of the Pacific, Swan Lagoon and waterfalls, and the Oriental Gardens. 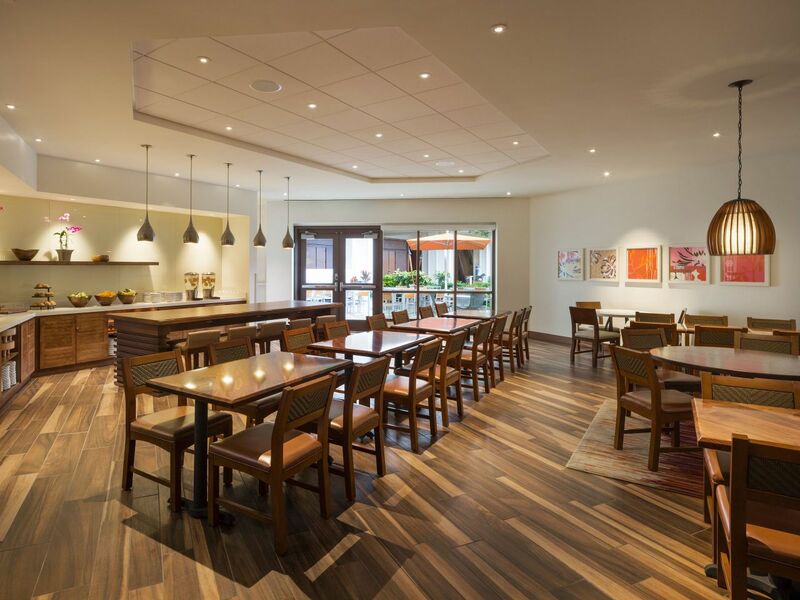 Lounge Hours: 6:30 a.m. – 9:00 p.m.
Continental Breakfast: 6:30 a.m. – 10:00 a.m. Afternoon Snacks: 11:30 a.m. – 4:00 p.m.
Evening Hors D’oeuvres: 5:00 p.m. – 7:00 p.m. Cordials & Desserts: 7:30 p.m. – 8:30 p.m.